This is the second of a five-part series looking back on the Big Lists that I compiled in early September prior to training camps opening. Of the five — which also included Comeback, Breakout and Rookie Sleeper candidates, plus the Top 100 Fantasy Defencemen — I found Busts the hardest to predict. Reason being, you are implying that players, often stars, are going to struggle to repeat past successes. The trouble with that is good players typically stay good, which proved true in a lot of cases with this Big List. Without reasonable justification, it made for a relatively small Big List, but I managed to sense regression in a few guys — some more obvious targets than others. Not surprisingly, this Big List also produced the most Noteworthy Omissions as several established players have taken steps back or gotten off to slow starts. I had to go all the way down to No. 7 from my Top 10 before finding a true bust in Mats Zuccarello of the New York Rangers. Stuck behind another dynamic little guy on the depth chart in Martin St. Louis, Zuccarello isn’t generating nearly as much offence. 1) Alex Ovechkin (F Washington) — 20 GP, 9 G, 9 A, 18 PTS = He went through a career-worst 5-game point drought, but besides that he’s been the same old Great 8. He’s been heating up lately and has climbed back into the top 20 in league scoring, so he doesn’t really fit the bill for this Big List. He might not score 50 or win the Rocket Richard, but he should be a lock for 40 again. 2) Chris Kunitz (F Pittsburgh) — 20 GP, 8 G, 9 A, 17 PTS = This guy really is a player and not just riding Sidney Crosby’s coattails. I really need to get off Kunitz’s back and give him his due. He’s an above-average hockey player, I’ll give him that. 3) James Neal (F Nashville) — 20 GP, 9 G, 5 A, 14 PTS = No busts have panned out so far. He’s been almost as big of a hit in Nashville as his linemates Filip Forsberg and Mike Ribeiro. I didn’t see that line clicking the way it has, or Neal being the same finisher without Evgeni Malkin driving the offence. Neal’s been good and Nashville’s been great. 4) James Wisniewski (D Columbus) — 17 GP, 2 G, 7 A, 9 PTS = The Blue Jackets have been bad, but he’s been not too bad. He’s not going to top 50 points again, but 40 is definitely within reach, which isn’t too shabby at all. 5) Steve Mason (G Philadelphia) — 13 GP, 4 W, 2.61 GAA , .923 Save% = He got off to a rough start and had to watch Ray Emery make a handful of starts in a row. Mason’s win total is still cause for concern, but the rest of his stats are steadily climbing. He’s long been a fantasy bust, but he’s shaking that label in the big picture. 6) Frans Nielsen (F N.Y. Islanders) — 20 GP, 5 G, 7 A, 12 PTS = As predicted, there just aren’t enough minutes to go around these days. The Islanders’ increased forward depth has hindered Nielsen and he’s likely to return to that 45-point range this season coming off a career year with 58 points last season. 7) Mats Zuccarello (F N.Y. Rangers) — 18 GP, 3 G, 6 A, 9 PTS = The little Norwegian that could last season hasn’t been able to produce at nearly the same clip in his encore. He’s dropped down the depth chart as a result and won’t come close to the 59 points he put up to lead the Rangers in scoring last season. 8) Anton Khudobin (G Carolina) — 6 GP, 0 W, 2.97 GAA , .898 Save% = Cam Ward came to play this season, which was predictably bad news for Khudobin. He’s stuck as a backup now and is still winless on the season. Khudobin will probably get better rather than worse, but unless Ward gets hurt again, he’ll be playing second fiddle and won’t be fantasy relevant. 9) Joe Pavelski (F San Jose) — 20 GP, 8 G, 9 A, 17 PTS = He’s leading the team in goals and only one point behind Joe Thornton in overall scoring, so far from a bust. In fact, he seems like the real deal. 10) Erik Karlsson (D Ottawa) — 20 GP, 6 G, 10 A, 16 PTS = It’s hard to call a defenceman who’s leading his team in scoring a bust, but Karlsson’s set the bar awfully high over the last few seasons. The fact he’s not leading all NHL defencemen in points is a shock and justifies his place on this Big List for the time being. He’s on pace for about 60 points but most drafted him expecting closer to 80 as per usual. When calling out busts, goalies tend to be the easiest targets. 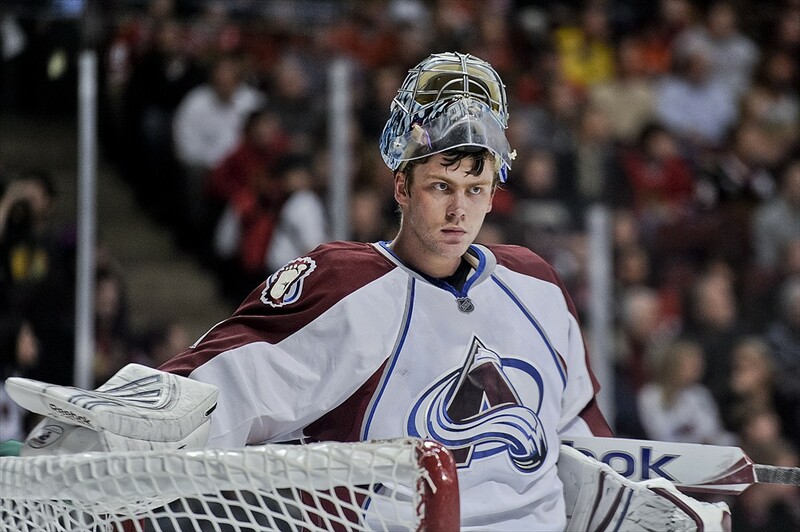 I was right on a few fronts, including Semyon Varlamov of the Colorado Avalanche. He was a finalist for the Vezina Trophy last season but won’t be on the ballot this spring barring a drastic turnaround. 1) Semyon Varlamov (G Colorado) — 13 GP, 4 W, 2.95 GAA , .918 Save% = He’s had some injury woes and the team in front of him has struggled as well, but you could see this one coming from a mile away. Not to say Varlamov isn’t a bona fide No. 1 goalie, but he’s not a perennial Vezina nominee either. 2) Dustin Byfuglien (F Winnipeg) — 20 GP, 2 G, 4 A, 6 PTS = Not only is the big man not playing his preferred position of defence, but he’s been relegated to third-line duty for the most part and his stats reflect that. He’s up to 4 goals and 9 points after 25 games, but that only prorates to 13 goals and 30 points, which is a huge drop-off for a guy who had 56 points last season and has topped 50 in three straight (full) seasons. 3) Nick Bonino (F Vancouver) — 20 GP, 7 G, 8 A, 15 PTS = I’ll go ahead and eat crow on this one. He’s been excellent for the Canucks, every bit as good as Ryan Kesler was over the years. Crazy to think Vancouver might actually come away the winner in that trade. He was up to 19 points in 23 games, which prorates to 68 points over 82 games. Bonino had a breakout year with 49 points last season, but he’s probably going to top that total. 4) Ondrej Palat (F Tampa Bay) — 20 GP, 5 G, 10 A, 15 PTS = He’s part of a very balanced Lightning attack and his sophomore production has been pretty impressive again. He might not get to 59 points again, but he should be in the 50s and that’s far from bust status. 5) Sergei Bobrovsky (G Columbus) — 11 GP, 5 W, 2.95 GAA , .911 Save% = He’s taken a step back, along with his entire team. Injuries have been a big factor for the Blue Jackets, including Bobrovsky, but now that he’s healthy, he needs to be much better if Columbus is going to climb back into playoff contention. 6) Marian Gaborik (F Los Angeles) — 12 GP, 3 G, 3 A, 6 PTS = He’s been a Band-Aid his whole career, so it should come as no surprise that he’s missed time to injury already this season. After a dominant playoff run in helping the Kings hoist the Stanley Cup again, Gaborik has been showing signs of a significant hangover. Good thing Dean Lombardi locked him up at a discount. 7) Mike Smith (G Arizona) — 15 GP, 4 W, 3.30 GAA , .890 Save% = Oh boy, I called this one too. I’m a little bit of a roll here with the last three. Smith has been brutal this season and is beginning to lose starts to backup Devan Dubnyk who couldn’t even stick in the league last season. Like Bobrovsky and Varlamov above him on this Big List, Smith needs to get it together for the Coyotes to have any hope of playoffs. 8) Alex Steen (F St. Louis) — 20 GP, 4 G, 8 A, 12 PTS = He was leading the entire league in scoring at this cutoff last season before getting slowed by a concussion. He’s been nowhere near the leaders this season, but Steen’s still on pace for about 50 points, which would be about average for him (down from 62 in 2013-14). 9) Reilly Smith (F Boston) — 20 GP, 4 G, 6 A, 10 PTS = He was a last-minute signing due to Boston’s cap crunch and he’s bounced around the lineup so far, seeing limited time with his regular linemates from last season, Patrice Bergeron and Brad Marchand. Separated from them, Smith will be lucky to get 40 points this season, let alone the 51 he had in 2013-14. 10) Jaromir Jagr (F New Jersey) — 20 GP, 3 G, 9 A, 12 PTS = He’s not getting any younger, but he’s not getting a whole lot worse either. He was leading the Devils in scoring at this cutoff despite only being on pace for 12 goals and 49 points. I certainly wouldn’t bet against him topping 50 points, but I doubt he’ll match the 67 he had last season. Sidney Crosby (F Pittsburgh) — 20 GP, 9 G, 20 A, 29 PTS = He’s leading the league in scoring yet again . . . Nuff said. Crosby and Co. haven’t skipped a beat under new coach Mike Johnston and, barring injury, he should add another Art Ross Trophy to his collection this season. Patrick Sharp (F Chicago) — 13 GP, 3 G, 6 A, 9 PTS = He got hurt but had been among Chicago’s best players prior to being sidelined. He’ll be back soon enough and should pick up where he left off. Because of that setback, Sharp’s not going to come close to the 34 goals and 78 points he put up last season. Even prorated, he was only on pace for 19 goals and 57 points, which might still be obtainable if he can make up for lost time. 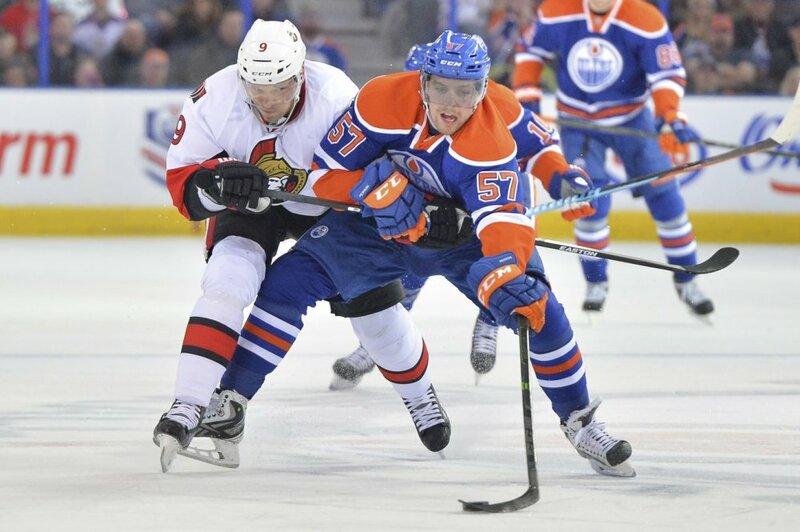 Is David Perron trying to play his way off the Edmonton Oilers roster? He’s doing a pretty good job if that’s the case, but he’s doing very little to help his trade value at this point. Valtteri Filppula (F Tampa Bay) — 20 GP, 4 G, 14 A, 18 PTS = No bust here. He’s on pace for 74 points, which would be a nice bump in production even over last season’s 58 points. David Perron (F Edmonton) — 20 GP, 1 G, 8 A, 9 PTS = His poor start has made him the subject of trade speculation and his days as an Oiler could be numbered. He’s up to 3 goals and 11 points through 24 games, but that’s only 10 goals and 36 points over 82 games. He had 28 goals and 57 points in 78 games last season, so you can do the math to determine if he’s busting. Marek Zidlicky (D New Jersey) — 20 GP, 3 G, 6 A, 9 PTS = He must be taking longevity tips from Jagr, because even at 37 years old, Zidlicky has continued to produce offence. He’s probably going to be in that 35- to 45-point range again, which is pretty impressive for his age. Andrej Sekera (D Carolina) — 19 GP, 0 G, 8 A, 8 PTS = This guy scored 11 goals (and 44 points) last season. He’ll probably be traded at some point, considering he’s an unrestricted free agent come July, but even on a contender, Sekera will be hard-pressed to hit 40 points again. Ben Bishop (G Tampa Bay) — 15 GP, 11 W, 2.26 GAA , .919 Save% = He’s the real deal, healthy and heading towards another Vezina nomination. He’s at least in that conversation again. Ben Scrivens (G Edmonton) — 13 GP, 4 W, 3.09 GAA , .895 Save% = Think Bishop and then think the opposite. Scrivens gave the Oilers hope to end last season, but he’s predictably failed to maintain those heroics this season. His puckhandling has been especially horrible, but his ability to stop the puck is becoming equally suspect. Shane Doan (F Arizona) — 20 GP, 6 G, 6 A, 12 PTS = Mr. Reliable is on pace for another near-50-point campaign, which has become the norm for Doan over the last few seasons. Steadiness is the name of his game and Father Time still isn’t taking a toll at age 38. Gustav Nyquist (F Detroit) — 20 GP, 9 G, 3 A, 12 PTS = He’s on pace for 35-plus goals, which would be quite an accomplishment, but Nyquist is struggling to earn assists for some strange reason. He’s got a knack for scoring, though, that has carried over from last season’s breakout performance with 28 goals and 48 points in 57 games. Olli Maatta (D Pittsburgh) — 14 GP, 1 G, 6 A, 7 PTS = Considering he recently had a cancerous tumour removed from his thyroid, he’s having a pretty successful season to date. He’s healthy again now and should end up in that 30-point range, perhaps slightly exceeding the 29 points he put up as a rookie. Cody Eakin (F Dallas) — 17 GP, 4 G, 3 A, 7 PTS = He was expected to be demoted to third-line centre, but with Valeri Nichushkin injured and Ales Hemsky struggling, Eakin has actually received a promotion to the top line alongside Tyler Seguin and Jamie Benn. He seems to be fitting in there and the points are starting to come, now up to 5 goals and 10 points in 21 games. That translates to 39 points, which would be an increase from 35 points last season, but if he sticks with those two the rest of the way, Eakin might finish closer to 50 points. Eddie Lack (G Vancouver) — 5 GP, 1 W, 3.30 GAA , .894 Save% = Not only has he been relegated to a seldom-used backup, but his statistics are suffering as a result. He finished last season with 16 wins, a 2.41 GAA and .912 save percentage in 41 appearances, but Lack won’t likely come close to any of those numbers this season. Nathan Gerbe (F Carolina) — 16 GP, 2 G, 6 A, 8 PTS = He’s up to 3 goals and 10 points in 19 games, which is a 43-point pace and a marked improvement over last season’s 31 points. But he scored 16 goals in that total and clearly has his work cut out for him the rest of the way to match that output. Patrick Maroon (F Anaheim) — 12 GP, 0 G, 5 A, 5 PTS = He’s since scored his first goal of the season and is up to 9 points in 17 games, so it’s not quite as bad as his stat-line looked at this cutoff. He’s no longer wingmanning it for Ryan Getzlaf and Corey Perry, but he’s found a bit of chemistry with Ryan Kesler on the second line. His recent hot streak has put Maroon on pace for 43 points, up from 29 in 62 games last season. Tom Sestito (F Vancouver) — 2 GP, 0 G, 1 A, 1 PTS = Who? He’s been a total non-factor for the Canucks this season after playing a regular role during John Tortorella’s tenure. Vancouver’s forward depth is a strength now and that has turned Sestito into a healthy scratch on most nights. He doesn’t even have any penalty minutes yet this season after racking up 213 of them last season. Craig Anderson (G Ottawa) — 12 GP, 5 W, 2.38 GAA , .932 Save% = No trouble here. He’s been sharing the crease with Robin Lehner as expected, but Anderson has been the better of the two and has been among the league leaders in save percentage for most of the season. Jonathan Bernier (G Toronto) — 13 GP, 6 W, 2.66 GAA , .916 Save% = Rumblings of a ‘goaltending controversy’ reared their ugly head in Toronto again this season, but Bernier’s recent run of success has quieted those naysayers. He’s earned points in 4 straight starts, including 3 wins to bring his total to 8. He’s back to being the go-to guy for the Leafs. Carolina Hurricanes winger Alex Semin has probably been the biggest bust of them all this season. He used to be a lethal sniper, but now he can’t even find a regular role in the lineup let alone the back of the net. Alex Semin (F Carolina) — 15 GP, 0 G, 5 A, 5 PTS = How has this guy not scored a goal yet, now through 18 games? He used to be one of the league’s elite snipers and he’s still only 30 years old. It just doesn’t make sense, but Semin’s struggling mightily and his effort is another cause for concern, which has resulted in him being a healthy scratch on a few occasions. He’s usually good for at least 20 goals and 40 points, but not this season by the looks of things. T.J. Oshie (F St. Louis) — 13 GP, 1 G, 2 A, 3 PTS = He had 60 points last season and was one of the stars of the Sochi Olympics. He’s up to 2 goals and 6 points in 17 games, so he’s showing signs of improvement, but Oshie is capable of so much more. He should be able to rally for 20 goals and 40 points at least. Mikko Koivu (F Minnesota) — 20 GP, 2 G, 5 A, 7 PTS = He’s turning the corner lately, up to 3 goals and 9 points in 23 games, but he was pointless in his first 5 games and had only 3 points after 14 games. He’s typically good for at least 50 points, but he’s only on pace for 32 at the moment because of his painfully slow start. Nathan MacKinnon (F Colorado) — 20 GP, 5 G, 8 A, 13 PTS = Much like Koivu, he’s been coming on strong after failing to score a goal in his first 10 games. I purposely left him out of the Sophomore Slumpers category, thinking no way, no how he’d fall victim to that jinx . . . thought wrong. But MacKinnon is now up to 18 points in 24 games, a pace that should ultimately match or exceed his 63-point rookie season. Marian Hossa (F Chicago) — 20 GP, 3 G, 12 A, 15 PTS = He had only 1 point in his first 6 games, but has since hit his offensive stride as well. He had a 4-point game to boost his totals, but Hossa has been a pretty steady performer the past couple weeks, which is what most people were expecting right out of the gate. Paul Stastny (F St. Louis) — 12 GP, 2 G, 3 A, 5 PTS = He was one of the bigger off-season signings but so far hasn’t paid dividends for the Blues. Stastny totaled 60 points with Colorado last season, but he’ll be lucky to flirt with 50 at this rate. Ales Hemsky (F Dalals) — 19 GP, 0 G, 4 A, 4 PTS = Another free-agent addition that has flopped thus far. Hemsky only had 1 point through 15 games, an assist in the season opener, but he’s got 5 points in his last 8 games now, including his first goal of the season. I guess that’s considered positive progress, but he’s got a long way to go in order to reach his usual 40-point range. Sam Reinhart (F Buffalo) — 9 GP, 0 G, 1 A, 1 PTS = He was a pretty big disappoint during his audition with the Sabres. But since being sent back to junior, he’s scoring at more than a 2-point-per-game pace, with 6 goals and 22 points in 10 games for the Kootenay Ice. As surprising as it was that he didn’t stick in Buffalo, Reinhart will be fun to watch at the world juniors. Slava Voynov (D Los Angeles) — 6 GP, 0 G, 2 A, 2 PTS = He got busted, literally. Voynov was arrested for allegedly assaulting his girlfriend and hasn’t played since. It’s still uncertain what the fallout will be, or whether he’ll even return for the Kings this season. Brenden Dillon (D San Jose) — 20 GP, 0 G, 1 A, 1 PTS = He made it to this cutoff as a member of the Dallas Stars but was traded to the Sharks immediately afterwards. Dallas obviously didn’t see the same upside that Dillon showed in previous seasons, and perhaps the contract dispute that kept him out of training camp was a lingering issue for both parties as well. A fresh start should bode well for Dillon, but it’ll be an adjustment process joining San Jose as evidenced by his minus-5 rating through 3 games. Kari Lehtonen (G Dallas) — 17 GP, 7 W, 2.92 GAA , .906 Save% = He’s had some real stinkers this season and can’t seem to find the consistency that saw him win 33 games last season with a 2.41 GAA and .919 save percentage. Through 20 games, he’s up to 9 wins but his stats have actually worsened with his GAA now at 3.03.